Some pairings seem to be made in the heavens: Think steak and malbec, think cheese and sweet riesling, think cooked beef and burgundy wines…the list is endless. But sometimes, we have the chance to reconsider our preconceived ideas, and be surprised, because a whole new horizon opens up as we do. On one of these days, Nina and I were visiting Stefan Erbes of Karl Erbes. We were trying our way through his newer wines and on to older wines. 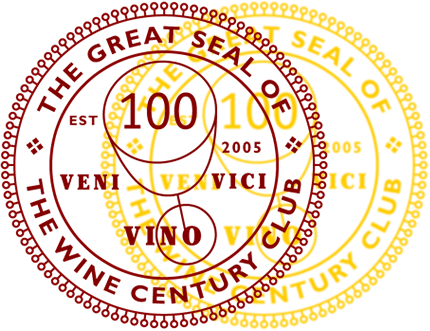 I mentioned it before, but the cool thing with his winery is that his father has stashed away wines of virtually every vintage. We were trying the 1996 Ürziger Würzgarten Auslese against this 1997 Ürziger Würzgarten Auslese* (they make up to a *** Auslese to distinguish between them according to what Stefan and his father consider the most stellar ones). Both tasted beautifully, unfortunately I cannot find the tasting notes for that visit. Stefan started explaining that he had had the 1997 with a grilled steak the other day and that that was amazing. This is when I intervened and told him to stop pulling my leg. I was incredulous. A steak and a Riesling Auslese? I know Riesling is versatile (think Korean food and riesling), but that versatile? Stefan just laughed, handed me a bottle and challenged me to try it out. The next day, we did. We threw coals on the grill and seared beef steaks with friends. And, oh man, did it work. The wine nor the steak were ruined by the pairing. Incredibly, the sweetness of the wine gave the steak a new feel and aroma, and the smokiness of the steak gave the wine a certain depth. I was stunned. We stocked up on the wine (because it is amazing, steak or not) and were looking forward to the next BBQ Riesling dinner. The occasion arose when we made plans with two good friends for dinner. She is falling more and more in love with German Riesling, while he has remained a bit skeptical, but is definitely indulging in the older vintages we’ve brought along. We agreed on steak, a butternut squash with sage risotto and baby potatoes. This was to be followed by a cheese platter, our usual routine. The white was opened and left to breathe for about 30 minutes prior to tasting, the red was decanted and stood for about 45 minutes. 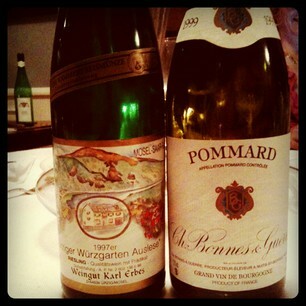 We had parts of the Würzgarten with our steaks, and then some of the Pommard as well. That led over to the cheese course, where we also had both wines. I knew this bottle of 1999 Bonnes & Guerre Pommard AOC was not flawed as soon as I uncorked it. The cork looked clean and intact, and when I poured the wine into the decanter, a full blown raspberry attack was going on. I don’t recall ever to have had such a prominent and distinct raspberry aroma in the nose. 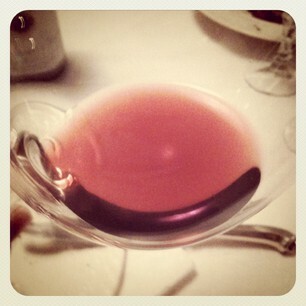 The wine was incredibly light in color, almost translucent. There was no darkening or browning on the edges when poured into the glass. It was remarkably fresh as well. In the nose, the raspberry aromas persisted, with some jam and tartness mixed in. I also smelled something like dough batter, but that might have been my brain playing tricks on me (I love raspberry tartes). There were also notes of chalk in the nose. 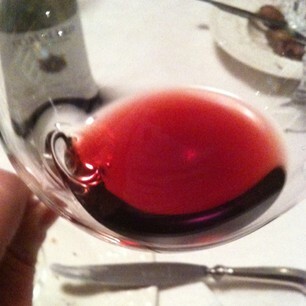 On the palate, the wine was condensed, but very fruity. The alcohol of 13% ABV was noticeable, but at no instance was the wine heavy. Later in the evening, when we were having cheese, the wine showed cherry, plum and slight tomato notes. There was also a certain earthiness to it. The wine was such a surprise to me. I had expected it to be flawed or a heavier, darker pinot noir. The light color deceived that it was deep and subtle and strong. The finish was long, and it shone through. 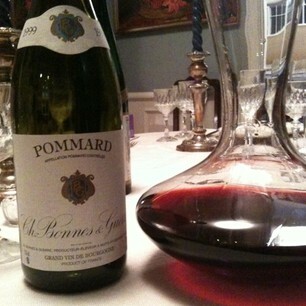 In my (limited) experience with Burgundies, I’ve found the most consistent pleasure from village-level Pommard. Just great, and like you said, they can have a full-on raspberry attack. I will have to try a Riesling with steak sometime. As I love both those items, I’m surprised I’ve not thought of that pairing earlier! It’s funny how steak and riesling just does not come to mind when thinking of pairings. Like I said earlier, make sure it is an older vintage, I really think the depth in those helps. Well, Riesling goes pretty much with everything! That is so true. It never ceases to amaze me…. Beef and sweet/smoky has long been known to impel people to drive hours to satisfy a barbecue craving. Along that thought, beef and Riesling makes total sense. Absolutely. I just never, never made that connection. I will have to break out one of my Ausleses these days with a steak–thanks for the idea! The most usually food pairing I have had was a black truffle risotto with a Rutherglen Muscat Fortified. There is nothing like being blown away by strange pairings. That sounds intriguing…given black truffle’s intense flavor, I guess the sweetness could not overpower it. I have paired mushroom risotto was riesling spätlese before, but never with a fortified. Very interesting!